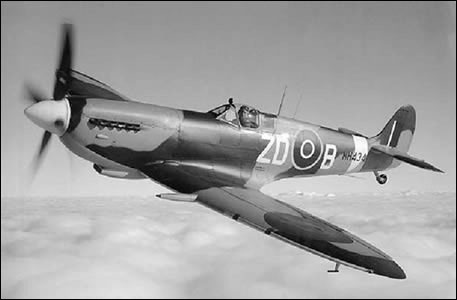 The beautifully sleek and aerodynamic lines of the amazing Spitfire. View 16 Spitfires flying past in formation to mark the 70th anniversary of the Battle of Britain. After the fly past, the Spitfires brake off with a wonderful display in the sky. This is awesome to listen to the sound of 16 Spitfires as they fly past.